A week ago, I reported that YouTube tests a new interface based on Cosmic Panda. The most important feature is the redesigned homepage that helps you find new channels and explore the videos from your subscriptions. YouTube started to post additional information about the new interface and it's now obvious that it will replace existing UI in the near future (the link only works after you've enabled the new interface). "We've given YouTube a refresh. When you login, you'll be greeted with recent activity from your subscriptions. You can also browse and add new Channels to your homepage. Connect with Google+ and Facebook to share your favorites with friends. There's plenty to discover, so login and give it a spin." There's also an article about the new interface for channels. It's interesting to notice that the new homepage and the new channels are built around feed views and activity streaming to make YouTube even more social. 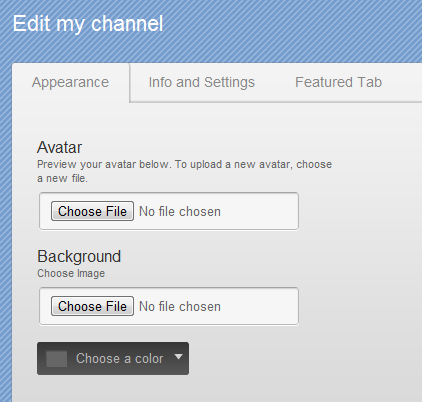 The new channels are less customizable: you can only choose an avatar, a background image, a background color and a template (creator, blogger, network, everything). Update: The new interface is available for everyone. I think the new channel layout is a bit confusing and it's going to take a while to get used to. It looks nice, but I don't know if I'd like to use it. The few times I've tried it, I've gone back to the current look in a matter of minutes. BTW, the "additional information" and "The new channels" links are showing a 404 error message? As expected, youtube updated the same time Google has. Both have the same kind of interface, and overall the same features as well. I do like it better now, it's a much easier navigation than it was before. It looks so modern now, but I bet they will be doing a few more improvements to their new change. 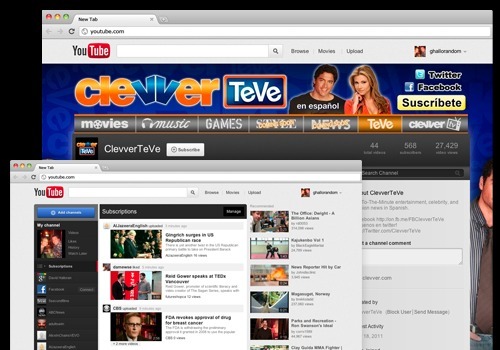 hay how do i go to favorites in the new you tube interface ?